Easy life for Everyone Is a food Blog. This blog is about Easy healthy Recipes from all over the world. And 'DIY' solutions for everyday cooking Spice mixes. Indian recipes for The ketogenic diet. I Will Share tried and tested all popular vegetarian recipes from India. It’s a chicken momo recipe. Though it’s a Chinese recipe nowadays it’s a very popular dish all over the world. Even in India, it’s a very well known dish. And you can easily get this soo popular dumpling in five-star resturants to street vendor shops. Both versions of the dish like veg and non-veg are very famous in India and more or less every Indian familiar with its delicious taste and interesting looks. The shapes of the momo dumplings are so unique. Though all we know Chinese dumplings can cook in many shapes but the momo has its own typical shapes. We all know about only Chinese dumplings recipe only. But do you know Many Asian countries have their own traditional dumplings recipe? Maybe those are not so popular like chines dumplings but those are equally tasty and so healthy. 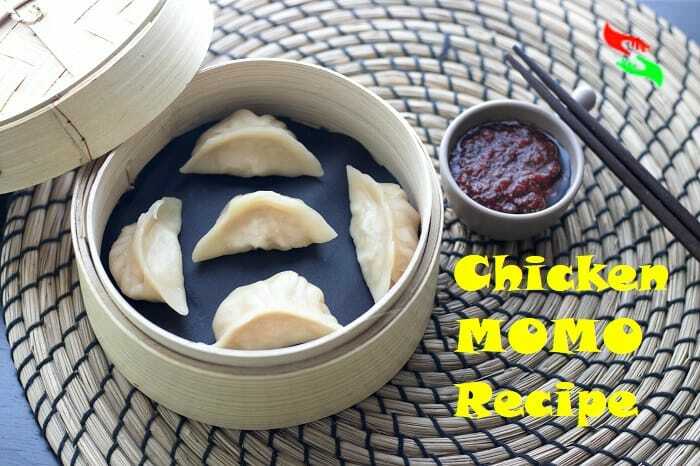 Chicken Momo Recipe Easy to make Healthy Chicken Dumplings Recipe Is The The MoMo dish is Unhealthy? I read many articles and find many people are blaming Momos as an unhealthy dish. But there are two Sides of the same dish. You have to understand it first then only you can decide whether it is an unhealthy or a healthy recipe. The first side is if you make a Momo dish at your home only then obviously it will be a quality food and no DOUGHT it will be the healthiest dish. BUT if you buy the same dish from a street vendor or local resturants then obviously the ingredients inside it may be poor if you don’t know how it’s made. Maybe it can be too tasty than what you make at home but the ingredients will be less healthy than what you use in it at home very sure. So The conclusion is simple; you only have to make it at home if you are health conscious and want to eat only healthy food. Can This Chicken Momo Recipe make with wheat flour? Typically or traditionally momos can be made only with white refines flour only. But if you want a bit more healthy version of momos then you can easily make this yummy snack with wheat flour. The taste will be more or less same. Many times I make this with wheat flour and I never realize any taste difference. Even you can make it healthier with whole wheat and oats flour mix. Make dumplings dough with an equal portion of oats flour and wheat flour and make momos out of it. I am sure you will try it. Taste wise there is no difference but health wise great and get 100 % of goodness from the dish. PLEASE SHARE YOUR VALUABLE THOUGHTS AND FEELINGS ABOUT THIS CHICKEN MOMO RECIPE IN THE COMMENT BOX SO THAT I CAN UNDERSTAND YOUR THOUGHTS ABOUT IT. AND SHARE THIS RECIPE IN THE SOCIAL NETWORKS IF YOU LIKE THE RECIPE Facebook, Google+. Instagram, Twitter IF YOU LIKE IT. The post Chicken Momo Recipe Easy to make Healthy Chicken Dumplings Recipe appeared first on Easy life for Everyone. 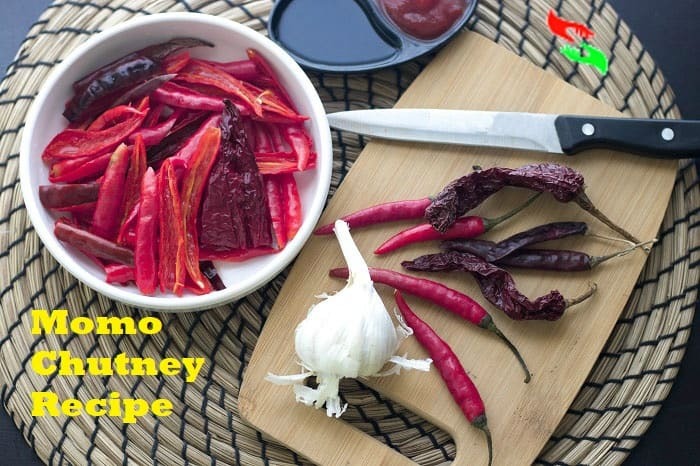 This is my ultimate spicy momo chutney recipe or dipping sauce recipe which I learned from my Nepali friend. Actually, I never called the sauce is just a simple momo dipping sauce. I named it “DEADLY SAUCE’. You won’t believe how hot it is. If you are a true spicy food lover or you like spicy dipping sauces just try it. I saw many times Nepalese are fond of spicy foods. Generally, they make non-spicy foods when they are selling it. But usually that same food they make at their home in a very spicy version. I love Nepali food so much. They can make any veg or non-veg ingredient so tasty. Maximum time they eat veg foods only. Because they live in mountain areas and chicken or meat is costly there due to the transportation problem. They grow their own veggies in their backyard and make delicious dishes out of those. As they eat vegetables most of the time so they make spicy chutney sauces or pickle kind of things with their every meal to make their every meal interesting to eat. This momo chutney/dipping sauce is one of them. It’s true that they not only have this sauce or chutney with momo’s only, even they eat this with their favourite noodle soup ‘THUKPA’.Thukpa is a traditional Nepali noodle dish with great taste and healthy. It tastes more good in the winter season. A bowl of hot thukpa will make your day I am sure. Another day I will share an authentic thukpa recipe which I got from my friend’s mom. IS NEPALI MOMO CHUTNEY RECIPE AND TIBETAN MOMO CHUTNEY BOTH ARE THE SAME RECIPE? No, Both are completely different recipes. Tibetian chutney is not spicy like Nepali chutneys. It’s a bit sweet and sour sauce. And Nepali sources are most of the time looks blood red in colour and super spicy and hot. Tibetian chutney looks pale orange in colour as they use orange sweet mountain chillies to make their chutney. And they use sugar in their chutneys which Nepalis never do with their chutney dishes. I saw many bloggers write in their Tibetian momo chutney recipe that they use galangal or Thai ginger in their momo chutney dipping sauce. It’s wrong, they never use galangal or Thai ginger in there any dishes even in chutneys because galangal is not grown in the mountain region of Tibet. Tibetans eat very simple food. In northern Nepal and Bhutan where many Tibetans live and If you go to their village you can see in every resturants there, they are using simple ingredients and non-spicy foods. And most are veg dishes. I never found GALANGAL there. They use lemongrass sometimes but galangal never. I asked many vegetable vendors about it but they even never see galangal before and they don’t eat this. It’s true information which I collected personally. I would recommend everyone to visit that place if you can and I am sure the beautiful natural view and delicious simply cooked food will inspire you to know more about that place. PLEASE SHARE YOUR VALUABLE THOUGHTS AND FEELINGS ABOUT THIS RECIPE IN THE COMMENT BOX SO THAT I CAN UNDERSTAND YOUR THOUGHTS ABOUT IT. AND SHARE THIS RECIPE IN THE SOCIAL NETWORKS IF YOU LIKE THE RECIPE Facebook, Google+. Instagram, Twitter IF YOU LIKE IT. The post Momo Chutney Recipe Easy Spicy Homemade Momo dip sauce Recipe appeared first on Easy life for Everyone. If anyone asks me to describe the Thai Green Curry Chicken Recipe, I would say it’s a simple, easy, healthy and at the same time super tasty delicious chicken curry dish. Recommended to everyone must try this delicious chicken curry dish at least once in their lifetime. I am sure no one will disappoint by its unique flavour and taste. I read many times in many food blogs, they described the recipe as the hottest dish. But I think it’s wrong as we always can minimize or increase the hotness of a dish by our own creation. Means if we try to make it less spicy then surely we can no doubt. Many of us have kids in our house so we always try to make food which we all can eat together and comfortable for everyone. I also have a kid, for the reason, I made it mild in flavour and less spicy or hot. Thai Green Curry Chicken Recipe Easy less spicy Thai Chicken Dish Is the changes in its hotness standards will change Thai Green Curry Chicken Recipe tastes? Absolutely No.the taste and flavour will be the same like what we can get in a Thai restaurant. But the dish will be more subtle and mild if you make this dish in my way step by step. I never compromise with the taste of any dish. Always I try to taste any recipe first. If I become satisfied completely then only I publish that on my blog. So you should not worry about its taste. And even I made the recipe in an inexpensive way. 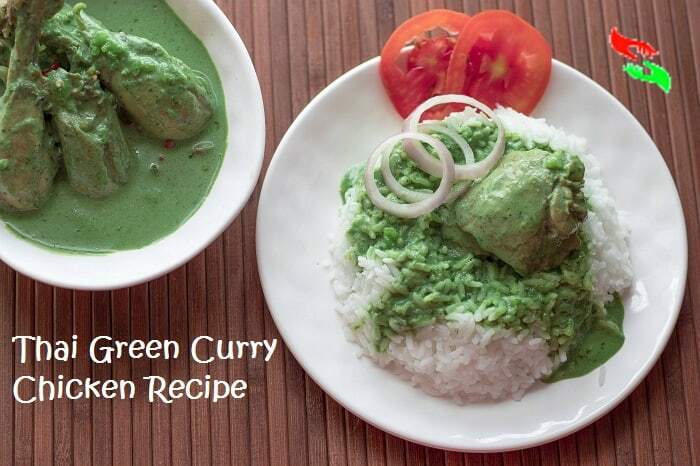 I made my own green curry paste to make the flavour more authentic and to make the dish more budget friendly. Most of the time we all try to make the international recipes but we skip to make it always when we saw the cost of the recipe ingredients. Especially the sauces or curry paste/powder of any dish. Believe me, the same thing used to happened to me too. But the ingredient cost never discourage me to cook International food. Even I find out a middle way which is I make sauces, curry paste or curry powder at my home. This homemade sauces and curry powder/pastes may not look same as the bottled commercial product one. But you will get the 100% of taste, flavour and goodness of the natural spices and I can assure you these are inexpensive than the bottled one. How you can make a Thai Green Curry chicken without Coconut Milk? Authentically Thai green curry chicken only made with coconut milk. But if you don’t like coconut milk to use in it, you can simply use almond milk to it. But my recommendation is never to use soy milk to the green curry. Almond milk is just fine to use in it. Even I used it and that was taste similar to the original. The post Thai Green Curry Chicken Recipe Easy less spicy Thai Chicken Dish appeared first on Easy life for Everyone. Chicken Adobo Recipe is the easiest chicken dish I have ever made. You can’t believe how much it is easy to make. As the recipe is so easy to make I would recommend it to those who are just have started to cook or a bachelor and always lazy to cook good and tasty food. If you have a friend or family member like this must suggest this recipe. I am sure if he/she cooks this recipe, will fall in love to cook food and will enjoy it too. This recipe belongs to the Philippines. The flavours of the dish are so good and intense, and much better with steamed rice only. What is the Filipino chicken adobo recipe? Chicken adobo is a sweet and sour flavour vinegared chicken dish. Usually, the colour of the dish is dark brown. And anyone can identify the dish by its looks and salty vinegary sauce. It is one of the most popular chicken dishes in the Philippines. The most and unique part of the dish is the dry bay leaves used with soy sauce in the dish. I never tried this kind of recipe before. The combination of two different strong flavoured ingredients in one dish is making the dish different from other chicken dishes. Is the sauce should be thick in Filipino Chicken Adobo dish? Yes, The sauce of the dish should be a little thicker than other or regular chicken dishes. I find to make the sauce thick is quite difficult. Because the Ingredients used in the dish either as the sauce or in liquid form only. So I made the sauce with a trick which is very easy. In Chinese recipe, they usually thick their curry sauces with help of cornstarch. I applied the same method here and got a very good texture of Chicken adobo sauce. My suggestion is if you are struggling with the same with your “CHICKEN ADOBO RECIPE” sauce must use this trick. And I hope the trick will be same helpful as it did with me. The post Chicken Adobo Recipe Easiest Filipino Chicken Recipe for Everyone appeared first on Easy life for Everyone. 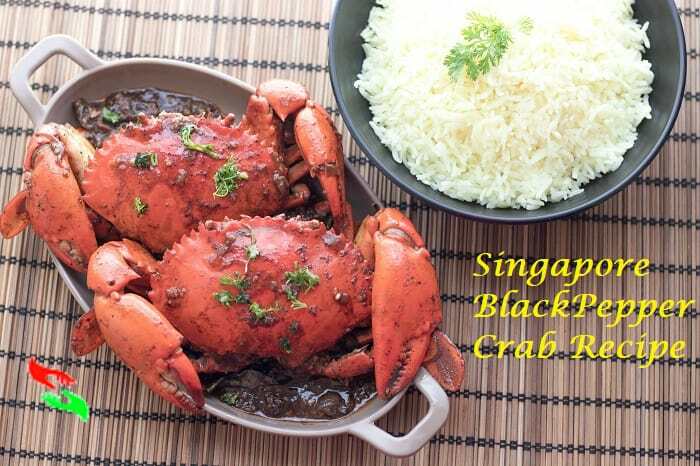 The post Black Pepper Crab Singapore Restaurant Style Easy Spicy Crab Dish appeared first on Easy life for Everyone. 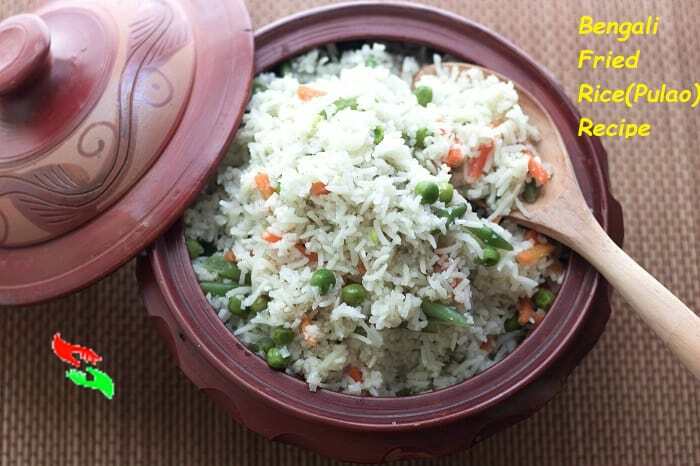 Bengali fried rice recipe is a simple easy Indan vegetable pulao recipe. But it is more flavourful than other Indian veg pulao dish I ever had. This recipe is so special to me because it is my Sunday lunch for a long time. When I was a kid my mom used to make this dish on weekends for us and it’s healthy too. Now I am making the same recipe for my kid now. It’s a recipe which any baby can like for its sweet taste. Yes, This recipe is a little sweet than other rice dishes. My mom used sugar in the dish as same I am doing. Bengali Fried Rice Recipe Very Easy Indian Veg Pulao Rice Recipe Is Bengali fried rice recipe and Chinese fried recipe both are same? NO. Both dishes are different from each other. In the Chinese fried rice, they fried the rice with chopped garlic, scallions, and with chopped vegetables and as spice they use black pepper, soy sauce and salt only. Chinese fried rice is a little salty. And the bengali fried rice or an indian veg pulao is little sweeter in taste and bengali never use garlic, scallion or any spices except ground cardamom and sugar and dry bay leaves in this recipe. The spice combination with rice in Bengali fried rice dish makes it so different in taste from other fried rice dishes. I tried many fried rice dishes belongs to many countries but this fried rice dish is unique in taste and no one competes for its taste. I love it’s taste so much. What kind of rice is perfect for this recipe? “ATAP CHAL” is the perfect rice for Bengali fried rice dish. Here in Mumbai Atap chal or Atap rice is hard to find. So I replaced it with Basmati rice. Basmati rice is also an Atap chal/Atap rice which many Indians don’t know. The flavour of Bengali ‘Atap Chal’ is more fragrant than any other Basmati rice. If you find atap chal nearby any store to you must try it for this sweet rice pulao dish. The post Bengali Fried Rice Recipe Very Easy Indian Veg Pulao Rice Recipe appeared first on Easy life for Everyone. 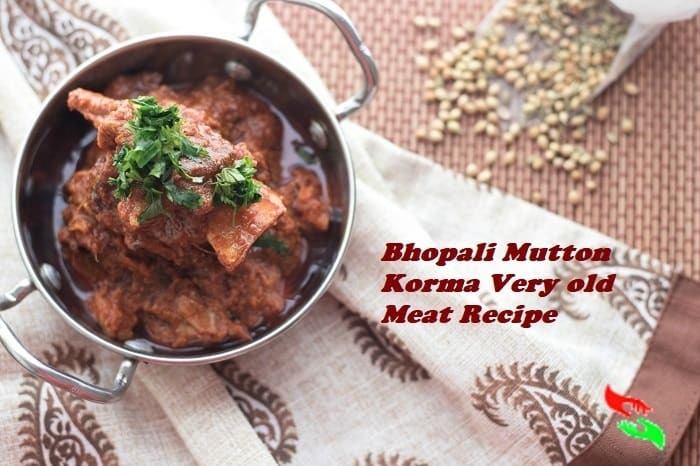 The post Bhopali mutton korma Very old Meat Recipe with Unique Flavours appeared first on Easy life for Everyone. You may have chilli chicken dish at any Chinese restaurant at least once in your life. It is the most popular and common dish in more or less all Chinese restaurants. irrespective of the fact that the restaurant is popular or not. And I noticed that this recipe tastes so different in every restaurant, thus difficult to understand which one is authentic. Hence I am also not going to prove that my chilli chicken recipe is an authentic one. But it’s an Easy chilli Chicken Recipe and you can cook it in less than 30 minutes, I am sure. When one of my friend first time told me the recipe in details I thought it does not sound like a tasty recipe. Because she didn’t tell me to use any spice in this recipe except to use Two sauces, That’s it. She told me that she learnt this from her uncle who is a chief in a very popular Chinese restaurant in Kolkata. And her uncle’s ancestors belong to China. But now they are living in an area named “China town” Kolkata. I don’t know how much authenticity this recipe is carrying!!! But It belongs to a Chinese family. I thought It might be an authentic recipe. Therefore I should try this. You would not believe when I cooked and taste it the first time, OMG it just tastes awesome and not like the regular Chinese one which we generally get in the Chinese restaurants. I tried the dish in many Chinese restaurants but never tried this kind of tasty chilli chicken dish.IT’S NOT SPICY NOT SOUR AND NOT SO OILY. IT’S JUST A PERFECT RECIPE LOOKS GOOD AND TASTES GREAT. Even I can say it tastes a way better than what we get from the famous Chinese restaurant’s. Can we use White flour or maida instead of corn flour in This Easy chilli chicken Recipe? I personally never suggest anyone use self-rising flour(maida) to coating a chicken. It will make the chicken like soggy fritters, heavy and will never taste good after cooking. I always use cornstarch or potato starch to coat the chicken for frying for Chinese dishes. Maximum time I actually even never deep fry my chicken pieces which usually people do. I try to air-fry my chicken pieces in a preheated air frier for 10 minutes (160 Degree)after coating in a mixture of cornstarch and egg yolk. I never add salt to my chicken pieces when I airfry instead add some black pepper to it. Because if you add salt to the chicken when you are frying, the chicken will be dry and would not be soft and tender after cooking. So always use cornstarch or potato starch for your chilli chicken for frying as well as for thickening the sauce. Can you use an oyster sauce in chilli chicken? I would suggest always use Oyster sauce and lite soy sauce in your chilli chicken dish. Even I would say must use oyster sauce in your chilli chicken recipe. My friend’s uncle told her that Chinese always use oyster sauce and lite soy source in their chicken chilli dish. But I saw many restaurants in India and even outside India use dark soy sauce. Which is not a correct ingredient for a chilli chicken recipe. If you use dark soy sauce your chilli chicken dish will be dark brown or very dark in colour after cooking. A perfect chilli chicken or chicken chilli colour must be lite brown in colour. And you should use oyster sauce not only for its colour but the oyster sauce has a very unique taste which creates magic when you use it with lite soy sauce. It will make the dish more delicious. If you do not believe me, try it and then you will understand yourself that it’s true. How can I make chilli chicken gravy? Chilli chicken gravy or sauce should not be too thick or too watery. It should be tomato ketchup like texture. To make this at first you make the dish, then before the finish, add some cornstarch with water to thicken the sauce within a few seconds. But one thing always remembers that never pour cornstarch water on the chicken when it has no water in it. If you do it then the sauce will be stick at the bottom of the pan or will likely coat the chicken and you will not get a restaurant-style chilli chicken dish. If you want a perfect chilli chicken gravy or sauce just like you get in the restaurants add cornstarch water in the pan when you can see at least 1 cup chicken watery soup or stock already have in the pan. After adding the cornstarch mix well and then you will see a perfect gravy texture just like Chinese restaurant style chilli chicken. WANT TO SHARE YOUR COOKING EXPERIENCE IN THE COMMENT BOX. OR IF CAN SHARE YOUR ANY QUARRIES OR SUGGESTION ABOUT THIS RECIPE IN THE COMMENT BOX. 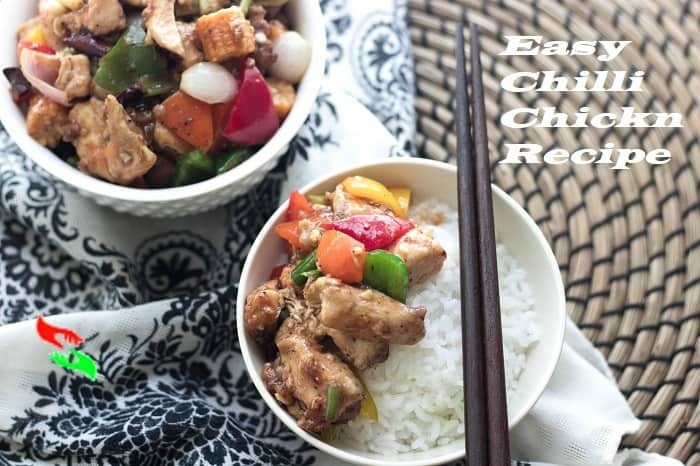 The post Easy chilli Chicken Recipe A Tasty Quick Chinese Chicken Recipe appeared first on Easy life for Everyone. Chicken Seekh Kabab Recipe with cheese EasyTasty Keto Friendly Recipe Why am I making this keto diet friendly chicken seekh kabab recipe? 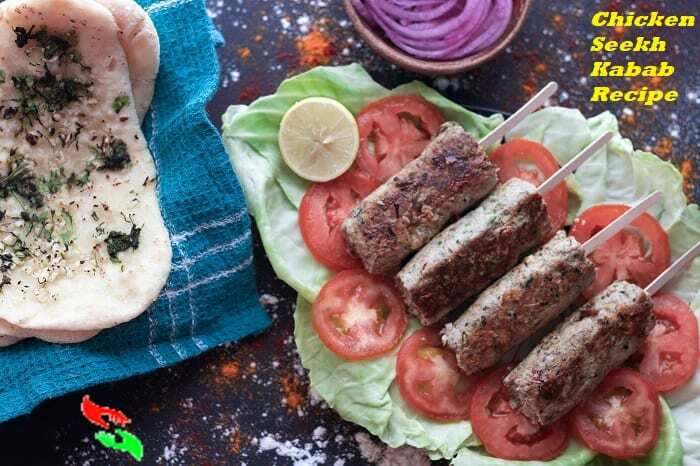 The post Chicken Seekh Kabab Recipe with cheese EasyTasty Keto Friendly Recipe appeared first on Easy life for Everyone. 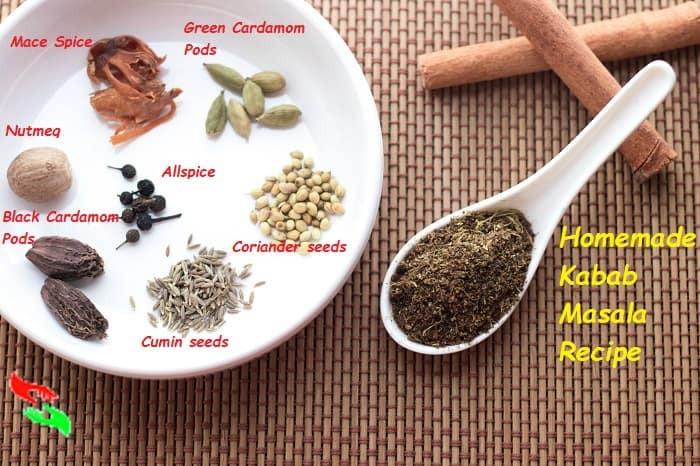 Kabab Masala Powder Recipe Easy this Need for every Kabab Recipe How Easy to make this kabab masala powder recipe? The post Kabab Masala Powder Recipe Easy this Need for every Kabab Recipe appeared first on Easy life for Everyone.